Significantly, 15 of the 35 candidates who emerged victorious today were women. Gurgaon: Independents won 21 of the 35 wards in the Municipal Corporation of Gurgaon (MCG) polls today while the ruling BJP had to remain content with just 13 seats. Significantly, 15 of the 35 candidates who emerged victorious today were women.While independents bagged the lion's share, the BJP could get just 13 seats. The party had contested all the 35 seats. Polling for the urban local body began at 7 am today and concluded at 5 pm. The counting of votes ended around 8 pm after which the results were declared. Opposition party Indian National Lok Dal (INLD) managed to clinch one seat. 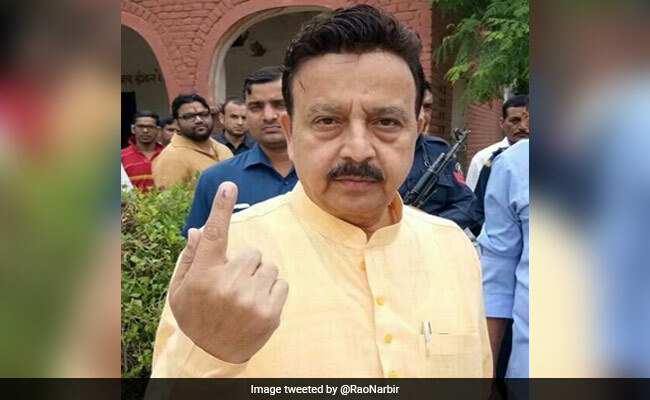 Soon after the result was declared, Haryana PWD minister Rao Narbir Singh said that several independent candidates who have won would support the BJP. The highest voter turnout was at the Kherki Daula senior secondary school where 681 out of 796 voters cast their votes. There are a total 5,58,884 voters in Gurgaon out of which 2,76,420 cast their votes at 546 polling booths.